Mr. and Mrs. Claus have a marriage that most couples envy. The pair hasn’t just been married for hundreds of years without even a sniff of a divorce, but they also work together all year round and she doesn’t even mind when he heads out for a his annual round the world trip by himself. But a new Hollywood comedy is going to split up the pair, after a festive romantic comedy script from Daddy’s Home writer Brian Burns was picked up, and it features Mrs. Claus leaving Santa. After 700 years of marriage and feeling underappreciated for her continued Christmas contributions, Mrs. Claus leaves Santa just two weeks before the holiday. With the fate of Christmas in jeopardy, Santa flies from the North Pole to New York to win her back and save Christmas. Obviously, since the comedy is still in the early stages of development, we’re quite a while away from any casting or directing news. But one obvious choice for the role of Santa Claus would be none other than Will Ferrell. 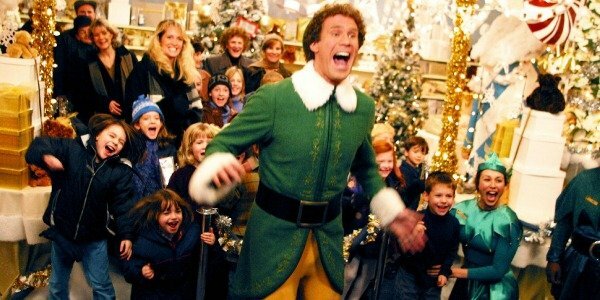 Not just because of his previous holiday-tinged fun in the cult classic Elf back in 2003, but also because Brian Burns previously wrote Daddy’s Home for the Saturday Night Live alum, which was released in December of last year. You probably didn’t notice because of a little movie called Star Wars: The Force Awakens, but Daddy’s Home, which Brian Burns co-wrote with Sean Anders and John Morris, fared rather well. It grossed $238.7 million from a $50 million budget, even though grouchy critics forced its Rotten Tomatoes rating to fall down to 30%. Which is pretty harsh, as I for one found it consistently funny, even if it was admittedly predictable. Hopefully we’ll get to judge that for ourselves when The Fight Before Christmas is released. But there are still several more development and production hurdles for the potential film to leap before it becomes a reality, so don’t expect that to be until Christmas 2017 at the earliest.